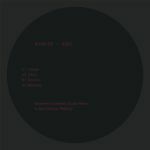 Review: As one of the foremost energies in Rome's electronic music scene, Adiel's productions on her own Danza Tribale label have communicated her take on minimalist, rhythmically inventive techno to the wider world. On this fourth installment, Adiel pays tribute to the Japanese capital with the snaking immersion and insistent propulsion of "Tokyo". On the flip, she truly opens up the filters of possibility with the kinetic, hyper-detailed percussive ripples of "Jungle". In an eerie, cavernous space, these needlepoint drum lines interlock and drive the listener deeper into a well of meditation, delivering the intended outcome of submission and transcendence that Adiel's music is engineered for. 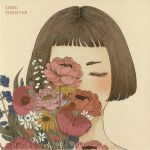 Review: Adiel is resident at Goa Club in Rome, and over the past couple of years she's quietly issued 12"s that complement her DJ style with angular, experimental electronic variations. While the ingredients (drum machines, errant synths) may be familiar, the patterns and shapes are not. An icy dread lingers over the likes of "Vibra" with its uneasy reverb space and subtly unsettling undertones, but this is also utterly seductive dance music too. "Ritmo" in particular has a truly meditative quality to it that strikes even deeper thanks to the tense, percussion-led atmosphere. "Melodica" pours a little more techno propulsion into the mix, highlighting the compatability Adiel's creations have with more linear forms of drum machine science.